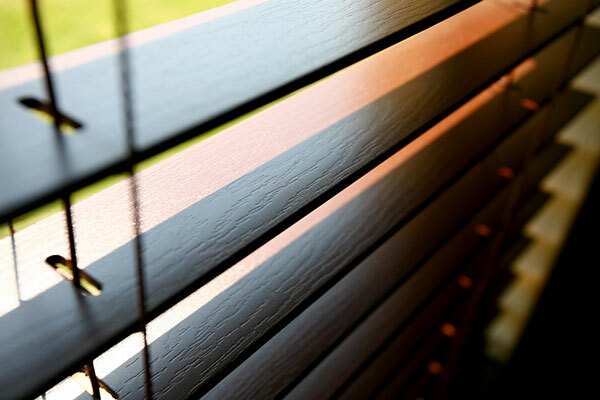 The most popular blind materials include natural wood, composite wood, "faux wood," aluminum, and vinyl. Each material has its pros and cons when used in horizontal or vertical blinds, and it is important to understand the differences between materials when ordering blinds. Consider the decor and usage of the rooms where you intend to install window blinds, as well as susceptibility to humidity and temperature variations. A bit of pre-planning can help to avoid disappointments such as warped slats or a "cheap" appearance. Wooden blinds are the traditional type of horizontal window blind, but they have become less popular as blinds made with lower cost materials have become available. However, people who desire the timeless beauty of natural wood are rediscovering wood blinds. Fabricated using various woods, and finished in stained wood tones and solid colors, wood blinds are typically available in 1 inch to 3 inch slat widths. 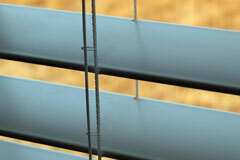 To avoid slat warpage and splitting problems, use wood blinds in settings where temperature and humidity are stable. Composite wood blinds are a popular alternative to real wood blinds. They are more structurally stable, and are less prone than traditional wooden blinds to the effects of varying temperature and humidity. 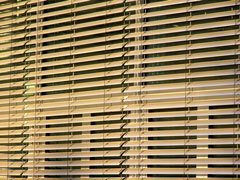 Composite, or "engineered," wood blinds are fabricated from hardwood pulp blended with PVC or resins. They look and feel much like natural wood; they are available in solid colors and varied wood tones. 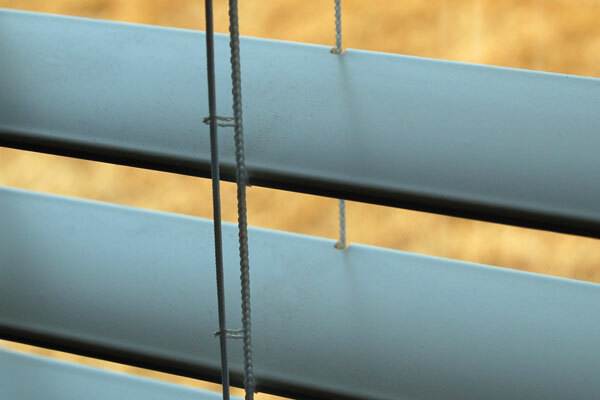 Most engineered wood blinds can be ordered in slat sizes ranging from 1 to 3 inches. Because they are made primarily from wood by-products and recycled materials, they are attractive choices for environmentally aware consumers. PVC (polyvinyl chloride) window blinds are available in solid colors and embossed faux wood finishes. They are typically produced in larger 2 or 3 inch slat sizes. PVC blinds are not adversely affected by indoor humidity or temperature changes, and they can be a stylish and easy-care window treatment option. 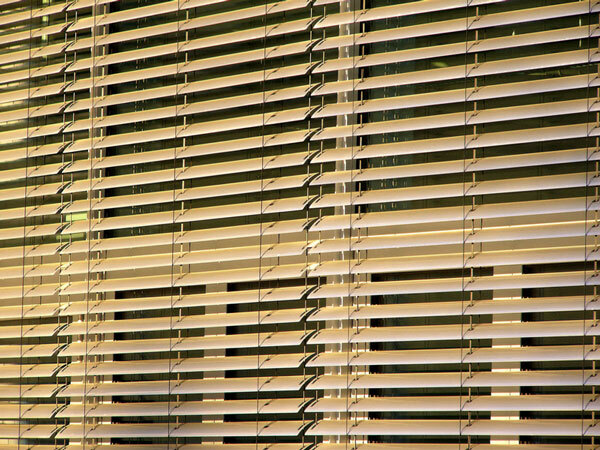 Aluminum blinds are available in a wide range of colors and slat widths, including micro and mini sizes. They are fairly inexpensive, but be sure to check the thickness of the aluminum slats. The thickness, or gauge, of the aluminum can be a good indicator of aluminum blind quality — a larger gauge aluminum slat will be thicker and stronger. Vinyl blinds are low-cost utility blinds best suited to attics, garages, and storage areas. They are typically available off-the-shelf in standard sizes. Vinyl window blinds are usually lower in quality and durability than other types of blinds.